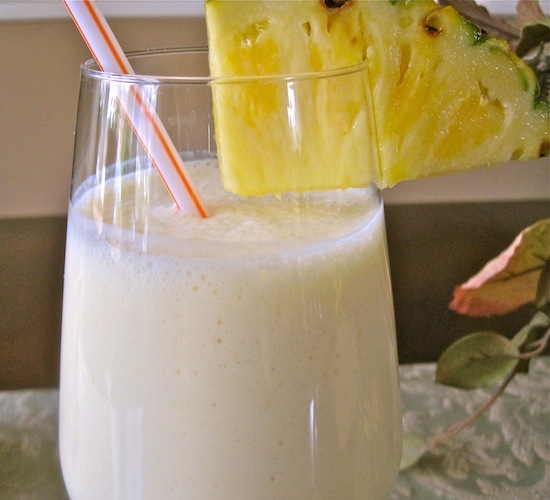 Make this delicious and simple coconut and pineapple drink and your kids will love you for it! I am a huge coconut and pineapple fan , so I love this drink. It doesn’t matter if is cold or hot outside, this drink is always welcome in my house. 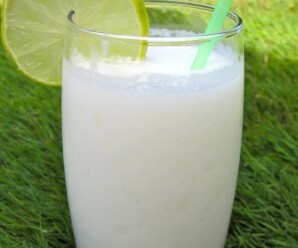 In a blender, combine the pineapple chunks, coconut milk, ice cubes, milk and condensed milk and blend until smooth. Pour into glasses and serve immediately. I will definitely add my favorite rum to this. Coconut is my favorite! With pineapple, it is even better! The drink looks great. I have bookmarked this recipe! Thank you! 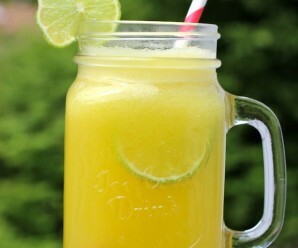 Yum – this just sounds so refreshing! Sounds perfect for our spring/summer season.Definately worth doing. Thank you all for visiting my site! 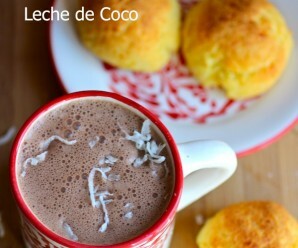 A wonderfully delicious sweet drink – my daughter would love this for sure! 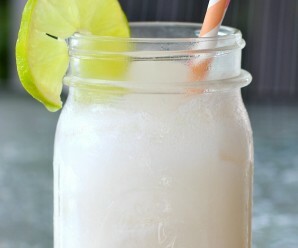 Thanks Erica for sharing this refreshing and delicious drink! Hey, I just have some pineapple in the fridge I can use right this minute! I would love to try this! It looks very tasty and delicious. What an absolutely gorgeous drink! I can taste it even though I have only just read of it! tan rico! para este verano que llega, gracias Erica suerte. Waw!! What a refreshing & lovely & apart drink!! This is fantastic for a kid’s party too! I could be kid too. Lovely tropical flavors. I made this drink for my kids and they loved it! I added rum to mine and it was fantastic! is it a big deal if you dont serve immediatly? can you refrigorate it and then serve later? I just made these for my 3 boys to drink up in the sunshine we are finally getting! The adored them, thanks!